If published reports are accurate, there has been some movement by the Administration towards greater involvement. “With increased humanitarian aid, some covert support based in Jordan and the high profile visit by Kerry to Baghdad to persuade the Iraqis to stop facilitating Iranian supplies to Assad, we are, says one US official, willy-nilly winding up on the side of the Sunnis, in their fight against Iran” (and the so-called Shia-arc that stretches from Teheran to Beirut). ..."
"... The US, UK, Saudi Arabia and Qatar have admitted to colluding together, flooding Syria with thousands of tons of weapons via Jordan to Syria’s south, and NATO-member Turkey to Syria’s north. And in an otherwise inexplicable conundrum, while the likes of US Secretary of State John Kerry insist this torrent of weapons is being directed to “moderates,” neither the US nor its allies are able to explain why Al Qaeda terror front Jabhat al-Nusra has emerged as the most heavily armed, best equipped militant organization in the conflict. "... So what's actually going to happen is that the Emirate of Qatar is going to have its state-controlled sovereign wealth fund back a private equity firm called Columbia Investments that "would have an office in London in which the former president would visit one or two days a week, according to a person familiar with the matter." The investment will be worth €250 million and as the authors note "[b]ased on the typical 1.5 per cent fees levied by private equity groups for managing €250m, the former president and his investment team would stand to gain more than €3m annually." What will the firm be doing? The plan is to "invest in 'European reconstruction' – companies in continental Europe, with a particular emphasis on Spain." "...It is clear what a great guarantee an alliance between Turkey, Israel and Egypt could provide for Russia. A new administration under the control of that alliance would inevitably suit Russia, and the Syrian problem will disappear. ..."
"... The key concern, the Israelis said, is where the jihadis go after Assad falls. Do they stay on in Syria to fight any Alawite militias that may appear? Do they go west to Lebanon, to fight the Shiite group Hezbollah? South to try to cross into the Golan, and fight the Israeli army? Or east into Iraq, to fight as Sunnis against the Shiite-led government of Prime Minister Maliki — which the Israelis saw as perhaps the most likely outcome? But there is another possible outcome: that the jihadis go to Europe to commit acts of violence and terror there. Why would hundreds of them possibly go to Europe? Because they came from Europe. The facts are pretty clear: There are hundreds and hundreds of European Muslims now fighting in Syria. When I met recently in Washington with the top civil servant in one of Europe’s foreign ministries, this was his greatest fear: What will they do when they come “home,” their fighting skills now honed through months of combat alongside other jihadis from Libya, Pakistan, Afghanistan, Iraq, and many other countries? 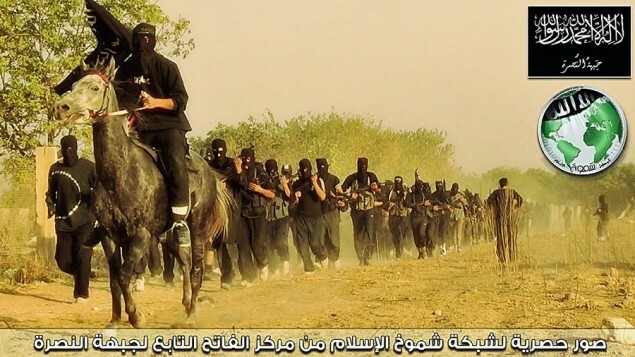 The French believe there are dozens of French Muslim jihadis in Syria. Kern quotes Dutch public broadcasting reporting that “the Netherlands has become one of the major European suppliers of Islamic jihadists” and about 100 Dutch Muslims are fighting in Syria. The Belgians think there are at least 70 Belgian Muslims there, and a Belgian newspaper called the country the top supplier of youth going to Syria for jihad. According to the Danish Secret Services . . . several members of the most violent gangs of immigrants in Copenhagen are currently in Syria where they have gone in order to participate in jihad... These people are already potentially dangerous and when they return home, they have access to arms and explosives. It is very worrisome to see these types of ties forming between Islam and criminals,” says the head of the Danish Secret Services. ... I can see why the Israelis worry where the jihadis will turn once Assad is gone, but at least Israel has a border with Syria it can keep closed and fight to protect. The counter-terror forces in Europe will not be able to prevent these jihadis from crossing Europe’s borders, for they all hold passports. Trouble ahead. AIPAC/ WINEP: "We know that president Obama doesn't want to go in that direction ..."
"... "The principals all agreed to this and from the president it came back as Band Aids and halalhappy meals, which is far less than we can do," said Andrew Tabler, senior fellow at the Washington Institute for Near East Policy. Tabler views the president's move as a de facto rejection of the idea of providing the Free Syrian Army with anything it could use to turn the military tide against the army of Syrian President Bashar al Assad. "I think it's pretty clear that the White House is rejecting this," said Tabler. "If that recommendation comes to the White House and it gets dialed back, it tells us that the president doesn't want to go in that direction but the rest of the bureaucracy does...."
"... First, there is no impartial intervention. Entering the conflict is to take sides. Ronald Reagan, 241 Marines, and 17 American embassy personnel learned that lesson in Lebanon in 1983. Washington had proclaimed its commitment to peace by aiding one force in a multi-sided civil war. By becoming a de facto combatant the administration turned Americans into targets. Aiding Syria’s opposition means becoming a participant in that conflict. Paradoxically, aiding the resistance could drive some Syrians who desire a negotiated solution toward the government. The Financial Times recently reported: “As the civil war becomes ever dirtier, rebels’ actions are starting to mirror those of the regime.” In fact, opposition fighters increasingly kill regime soldiers and supporters, and have turned to crime, including kidnapping, to raise funds. Second, there is no magic elixir that combines riskless intervention with speedy conquest. In Libya the allies provided the rebels with air support, but only enough to drag out the conflict for five months, during which time thousands, and perhaps tens of thousands, of Libyans died. By being prudent and cost-conscious the allies were not humanitarian, their professed objective...."
"... What are Qatar’s and Saudi Arabia’s goals? Are we to believe that these two archrival Wahhabi fundamentalist monarchies, the two main funders and arms suppliers of the Syrian uprising, are really both interested in creating a multisectarian, multiparty democracy in Syria, which they would not tolerate in their own countries?...My bottom line: We know what kind of Syria we’d like to see emerge, and we have a good idea of the terrible costs of not achieving that and the war continuing. But I don’t see a consensus inside Syria — or even inside the opposition — for the kind of multisectarian, democratic Syria to which we aspire. In this kind of situation, there are three basic options: We and some global coalition can invade Syria, as we did Iraq, sit on the parties and forge the kind of Syria we want. But that hasn’t succeeded in Iraq yet, at huge cost, and there is zero support for that in America. Forget it. We can try to contain the conflict by hardening Turkey, Jordan, Lebanon and Israel, wait for the Syrian parties to get exhausted and then try to forge a cease-fire/power-sharing deal. Or we can let the war take its course with the certainty of more terrible killings, the likelihood of its spreading to neighboring states and the possibility of its leading to the fracturing of Syria into Sunni, Alawite and Kurdish mini-states. I’m dubious that just arming “nice” rebels will produce the Syria we want; it could, though, drag us in in ways we might not want. But if someone can make the case that arming the secular-nationalist rebels increases the chances of forcing Assad and the Russians into a settlement, and defeating the Islamists rebels after Assad falls, I’m ready to listen. (FLC notices a deafening silence!!!)..." McClatchy's: "Islamists, secular rebels battle each other"
"... TAL ABYAD, Syria — Two Syrian rebel groups – one seeking an elected civil government, the other favoring the establishment of a religious state – are battling each other in the city of Tal Abyad, on the border with Turkey, in a sign of the tensions that are likely to rule this country if the government of President Bashar Assad falls. The rivalry between the groups is a reminder of how divided Syria’s rebel factions are and how inaccurate it is to refer to the anti-Assad forces as if they were a single group, with a single goal. Indeed, while news stories for months often referred to rebels as the Free Syrian Army, that term is more an idea than an organization. Instead, the rebel movement comprises dozens of groups whose ideologies have only one common goal: the toppling of the Assad regime. "... What’s happening here, in part, is that Saudi Arabia and Qatar are conducting a decades-old battle for influence, using their contacts in the Syrian opposition as proxies. The two wealthy Gulf nations use their media outlets — al-Arabiya for Saudi Arabia and al-Jazeera for Qatar — to promote their different agendas. It’s a ruinous rivalry, reminiscent of the way Arab regimes once sponsored feuding warlords in Lebanon. The biggest surprise is how little the U.S. has been willing or able to influence the Syrian political maneuvers in recent months. U.S. frustration with the old Islamist-dominated opposition led to the creation last fall of a new umbrella organization, headed by Khatib. But it’s mostly been downhill since then........ Critics of President Obama’s low-key approach to Syria would argue that the opposition wrangling illustrates what happens when the U.S. leaves policy to headstrong allies, such as Turkey and Qatar. The White House could counter that opposition fracas shows what a mess Syria is—and why the U.S. is wise to keep its distance. The dangerous aspect of the ascendency of Qatar and Turkey is that they are driving the Arab revolutions further toward Islamist governance. 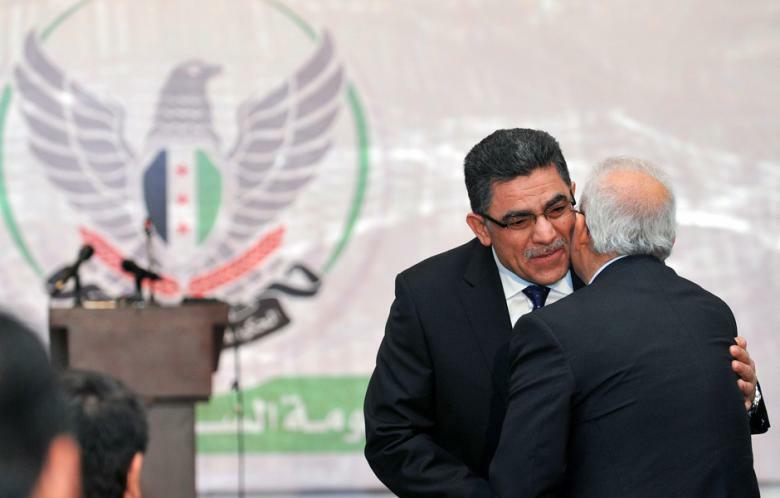 “Do you want to hand post-Bashar Syria to the Muslim Brotherhood?” asks one prominent Arab diplomat. Like many in the Arab world, he fears that the Brotherhood is now inexorably on the march toward regional hegemony." A 'successful' experiment in Lebanon replicated in Syria! "... Golan said that Syria's disintegration "could bring Iran to our very doorstep" via terror groups along the Golan Heights border, and that "one of the defensive measures that we of course cannot rule out is creating a defensive buffer zone on the other side of the border, together with interlocutors who will have an interest in cooperating with us against other elements who threaten them too." In 1985, Israel created a buffer zone in southern Lebanon to fight Hezbollah (Actually, it's exactly the other way around: The occupation of South Lebanon led to the creation of Hezbollah! 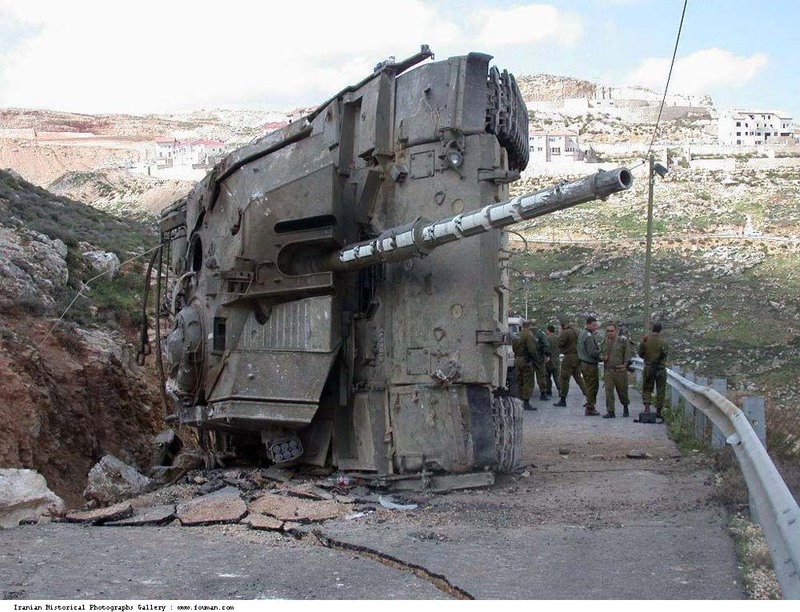 ), a deployment that lasted until the IDF withdrawal in 2000. "There is a lot one can say about the experience in Lebanon. At the end of the day, many Lebanese lost their lives for the sake of Israel [South Lebanon Army soldiers] and I don't think that there is anyone complaining about that. We can only complain about the way [the SLA members] were treated after the Israeli withdrawal. Bottom line, [the buffer zone] was one of the most worthy security investments ever made by the State of Israel," Golan says"
Mossad: 'Botching' Hezbollah & a Hamas assassination cover up! Mossad just can't live with the new facts of life: OTHERS have superior operatives! So, this story is all about the 'loser' Zygier! "... But the new reports suggest that Zygier was a desk-bound agent who botched a self-initiated effort to turn a Hezbollah operative into an Israeli agent, instead ending up revealing the identities of Israeli operatives in Lebanon...."
Qatar & the 'handful of Arabs'! All fingers point to Jihadists! "...Whatever happened last week in the town of Khan al-Assal, west of Aleppo, it achieved something extraordinary in the Syrian civil war: unity among Washington, Moscow and Damascus.All welcomed the rapid decision by Ban Ki-moon, the United Nations secretary-general, to investigate an alleged chemical attack that reportedly killed 26, including Syrian soldiers. Unusually, the request for that investigation came from the Syrian regime, which claimed that Islamic jihadist rebels launched a chemical weapons attack. Since then, precious little evidence in any way has come from the area despite an awful lot of diplomatic noise around the world. However a senior source close to the Syrian Army has given Channel 4 News the first clear account of what he claims is believed to have occurred on Tuesday. He is a trusted and hitherto reliable source who does not wish to be identified. 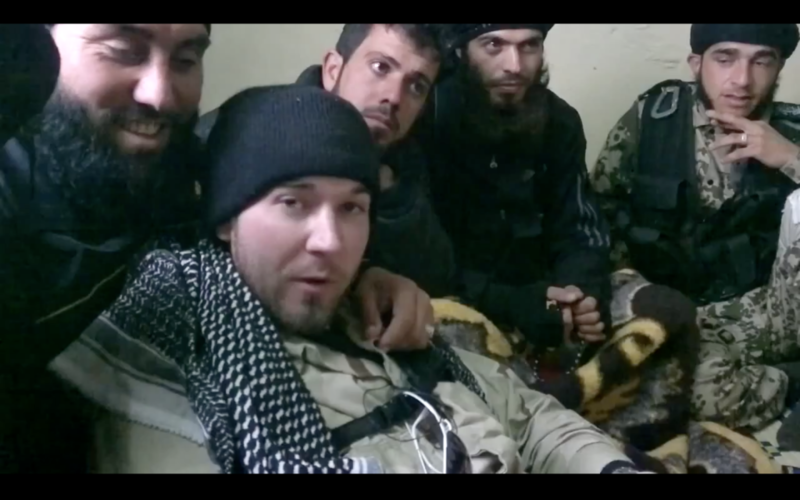 ..."
‫FSA' al As'ad: "I want to die!" ‫Michel Kilo: "Qatar's Hamad bin Jassem's shenanigans could pass with the ignorant!" Kilo: "... it's people like him (Bin Jassem) that are beMoadh al Khatib's marginalization & neutering ..."
Moadh Al Khatib: "Honestly! I ask the countries that send millions of dollars & 'undesired groups' to Syria to stop!" Al Khatib: "... these countries have neither Syria' or the Syrian People's interest in mind ...Their takfiris are very alien to Syria's culture..."
Cataclysmic Idiocy at FOX: "Neat, clean, over before you know it!" "... 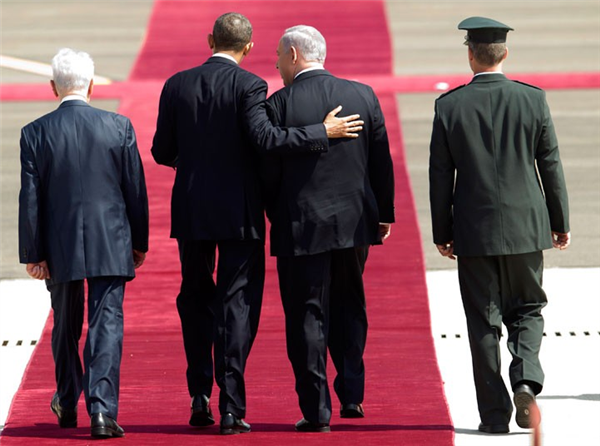 There are signs President Obama and Prime Minister Netanyahu have come to some sort of private understanding over Iran. I think Obama gave Netanyahu a green light to do whatever Israel has to do to stop Iran. America will give Israel the advanced weapons it needs for a preemptive strike against Iran’s nuclear sites, but will not join in that fight. Obama said, “we’ve got your back,” but did not say "we’ll be with you shoulder to shoulder should fighting break out...This all sounds good. The U.S. wants to stop Iran from getting nuclear weapons, but doesn’t want another Middle East War to do so. Diplomacy hasn’t worked; neither have sanctions. So let’s give Israel the weapons it needs to do the job. Neat, clean, over before you know it, and the U.S. stays out..."
"...In both the UK and the US, opposition to arming the rebels is marked on the right as well as the left of the political spectrum: 52% of American Republicans and 63% of British Conservatives are against supplying arms.Any thought of sending western troops into Syria In both the UK and the US, opposition to arming the rebels is marked on the right as well as the left of the political spectrum: 52% of American Republicans and 63% of British Conservatives are against supplying arms. ....... Any thought of sending western troops into Syria would also be badly received – especially in the UK. By a 32-point margin (55%-23%) Britons reject the idea of sending in UK and allied troops to protect civilians. The anti-intervention lead rises to 59 points (68%-9%) if the aim were "overthrowing President Bashar al-Assad". "Push for Assad's ouster in Syria weakened"
The Assad regime is receiving arms and other military assistance from Iran, Russia and Lebanese Hezbollah. Ford also cited indirect help from Iraq and Iraqi fighters that "is absolutely prolonging the conflict," although Baghdad denies being involved on either side of the Syrian war. Disarray within the opposition forces also has stymied the move to unseat Assad, although rebels control territory in Syria's north and east. Ford described the opposition as divided into political and military wings, and "both are not entirely unified."..." 'For quite some time there has been a great deal of talk and speculation in Lebanon, Syria, and the Arab and Western worlds about Hezbollah’s true role in the Syrian crisis. 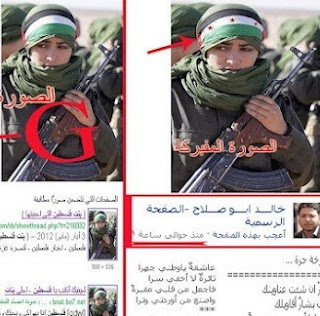 The anti-Hezbollah propaganda machine has, as usual, been particularly active, issuing a daily stream of news and reports about the party’s supposed involvement in the conflict.This machine – which has Lebanese, Syrian, and other operators – has announced the deaths of hundreds of Hezbollah fighters in Syria, and the capture of dozens by Syrian rebels. An official security agency in Beirut plays a central role on this front by leaking factual information that is then embellished. This deluge, these people believe, is a useful means of helping generate as much public anger as possible against Hezbollah. Hezbollah, for its part, has offered no further clarification of what Secretary General Hassan Nasrallah has said about the party’s role in aiding its Lebanese supporters who live in villages inside Syria, though he has reiterated that Hezbollah had not so far taken part in the fighting in Syria. A deliberate strategy of incitement and exaggeration is being employed against Hezbollah by regional and foreign intelligence agencies, including Israel’s. But the focus was, and remains, on trying to understand Hezbollah’s place in the Syrian crisis as it starts its third year. These agencies know many details of what is really happening on the ground in terms of fighting between regime and opposition forces. They are aware of each side’s capabilities, and keep a constant watch on all activities undertaken in support of the regime, including by Hezbollah. But for others, it may be necessary to clarify the outlook on which Hezbollah’s attitude to the crisis is based. This could help many understand the ideological, political, and operational underpinnings of its stance. Hezbollah continues to view things from the perspective of its central role in confronting Israel. 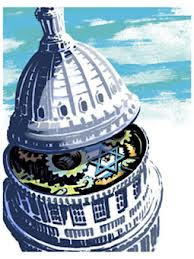 It may not often elaborate about the ultimate objective of that struggle, but the party behaves as though it is part of a long-term campaign aimed at getting rid of Israel, a battle for which much preparedness is required. While a majority of the Arab and Islamic peoples would not mind being rid of Israel, only a minority are willing to fight such a battle to the end. Hezbollah’s commitment to resistance against occupation obliges it to do many things, including to avoid making other enemies. Its position on Syria is consistent with its attitude to the protest movements in the Arab world as a whole. 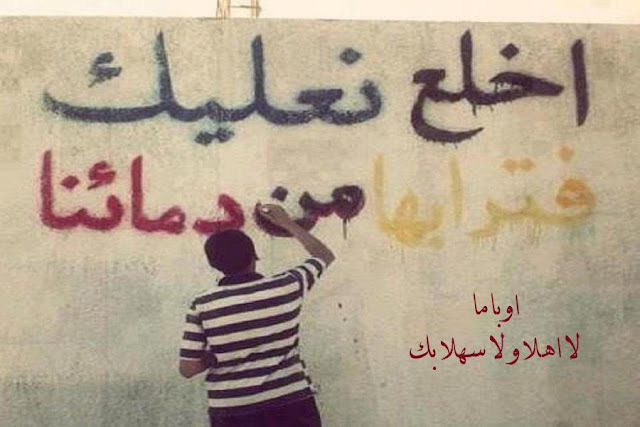 Nobody from the outset could ever have imagined Hezbollah taking a stand against the regime in Syria. While the party does not disregard the domestic causes of the crisis, it does not condone the battles that are taking place. Its view of the bigger picture prevents it from adopting a neutral posture, as does the fact that it has a clearer and stronger following in Syria than many of the groups involved in the fighting.Hezbollah warned early on about the foreign connections and agendas of groups leading the protests. It had clear evidence of the ideological persuasions of some of the most influential of these groups. It noticed how, from the start of the protests, demonstrators in Homs and Deraa set fire to pictures of Nasrallah and Hezbollah flags, and how the campaign of sectarian incitement against the party went into full-gear. This was before the party had made any comment on developments in Syria – indeed, while it was working with various Arab Islamist movements, including Hamas, on trying to broker contacts aimed at avoiding the current catastrophe. Hezbollah’s view, simply put, is that the war in Syria aims at shifting the country politically and strategically to a position of opposing its existence. That makes it see the current regime led by Bashar al-Assad as a forward line of defense for the resistance movement in Lebanon and Palestine. This alone is grounds for the party to be at the heart of the crisis. – Hezbollah trains, arms, and provides sufficient logistical support to Lebanese inhabitants of border villages. – Hezbollah took over the task of protecting the Sayida Zainab shrine south of Damascus after its Iraqi guards left. Party members are deployed there under a plan that restricts their responsibility to the immediate vicinity of the shrine. – Hezbollah received delegations from a considerable number of Druze, Christian, Shia, and Ismaili groups who felt their minority communities were under serious threat. It did not comply with their training and arming requests, but provided them with the means to prevent their displacement. – Hezbollah operates a major scheme, perhaps the biggest, to help Syrian refugees in Lebanon and even inside Syria. This is not aimed at repaying the Syrians for taking in refugees from Lebanon in 2006. It is done quietly, out of conviction that refugees and displaced people are entitled to all possible humanitarian aid regardless of political views. Israeli youth don't believe in Peace! In 2006, McInerney told Newsmax that there was “clear evidence” that Iraq had WMDs before the war and that the Bush administration “ignored Russia’s involvement” in helping to hide the weapons. ..."
Knowing squat about Syria & helping perpetrate a tradition of lying: Bashir and O'Hanlon! "... O'Hanlon did say that there is a substantial chance that Islamist fanatics would rule Syria after the Baath, but, no matter, he is still for arming the rebels.Bashir does not seem to have noticed that MSNBC produced and is still showing a documentary on the way the Bush Administration lied the US into war with Iraq. Now he is helping to do the same. pl"
Turkish ambassador in Washington: "Only true friends apologize to each other." Turkish ambassador in US on the Israeli apology "@NamikTan: As we always said: only true friends apologize to each other." ... and now: "The Free Syria Act 2013'"
Three years late: "Sorry, we did not mean it!" "...The first fruit of the above is that 12 NCR members froze their memberships a few hours after provisional prime minister Ghassan Hitto presided over his new Syrian “government” in contravention of the deal that Qatar and Saudi brokered among the various wings in the NCR.The Qataris came out victorious in their struggle to influence a large part of the Syrian opposition abroad and in determining the next course of action. Over the coming days, Qatar may score another victory by granting the “temporary government” Syria’s seat in the Arab League, which meets in Doha on Tuesday [March 26]. An NCR source said that after 14 hours of closed-door meetings and phone consultations, which Qatar’s Foreign Ministry directed from its headquarters in Doha, Qatar broke the agreement on Mustafa being elected to head the temporary government.... An NCR source said that Khalid al-Attiyah, the Qatari Foreign Ministry’s office director, intervened to impose Hitto. The electoral committee members were summoned from their hotel rooms after midnight in order to elect Hitto, a naturalized US citizen and Texas resident, to be prime minister of the temporary government. The US-Russian understanding troubled the Brotherhood because it revived the Geneva Accord. That accord requires the opposition, including the Muslim Brotherhood, to share the transitional government with representatives of the Syrian regime, under a US-Russian umbrella. Statements by US Secretary of State John Kerry that Syrian President Bashar al-Assad would stay on during the transition process in return for the Russians accepting a transitional government with absolute powers indicated that the political option was now being favored over the military option, at least in theory. An NCR source said Sabbagh persuaded the Qataris to replace Mustafa with Hitto. The latter’s closeness with the Brotherhood and his US connections, especially in the State Department, helped his selection. An NCR source said the Saudis were shocked by Qatar’s maneuver. The Saudis had sacrificed their favorite candidate, Riad Hjab, during their consultations with the Qataris in favor of the consensus candidate, Mustafa. 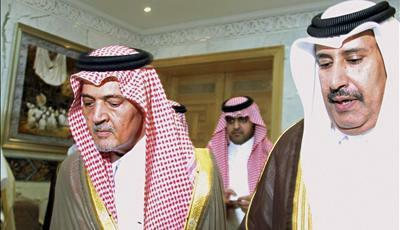 Moreover, the Qataris rejected a Saudi request to postpone the election. We should not expect much from the group that has not yet decided whether it will work alongside Khatib inside the NCR. It is not yet clear whether he will resign following the Qataris’ imposition of a choice he had publicly rejected. Khatib has a difficult decision to make in order to stay at his post. After his election, Hitto gave a speech reversing Khatib’s initiative to negotiate with the Syrian regime. Khatib had given up on the military option and is in favor of negotiating with the Syrian regime. Khatib still enjoys American and popular support for his negotiation initiative and has a lot more Syrian legitimacy than Hitto, whom the Qataris brought out of nowhere. Brahimi and his team met in Cairo. A source said, “The formation of a temporary government threatens the idea of reaching a political solution by means of negotiations and sabotages Brahimi’s mission.” The source added that Brahimi is not certain whether the Qataris will go all the way in threatening Brahimi’s mission or whether the temporary government, in spite of its “sovereign” character, will lead to the emergence of two Syrian governments. 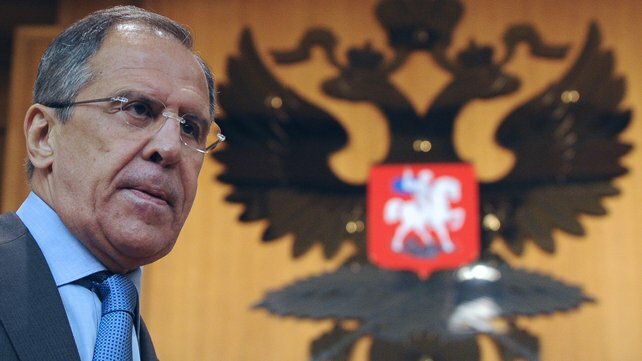 In a statement, the Russian Foreign Ministry said Foreign Minister Sergei Lavrov had a telephone conversation with Brahimi over the developments in Syria. “The two parties discussed the Syrian issue in light of the trend within the Syrian opposition abroad and the Arab League to reject dialogue with the Syrian government despite the agreements mentioned in the Geneva Accord on June 30, 2012, on forming a transitional administration on the basis of consensus between the Syrian government and the opposition,” the statement said. 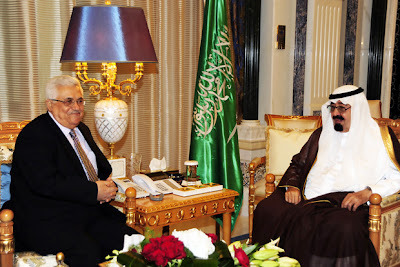 ..."
– To be given Syria’s seat at the Arab League and other pan-Arab bodies at the forthcoming Arab summit. This would oblige all Arab states to treat the interim government as the sole legitimate representative of the Syrian people. – To impose a concept of parity, so that in future talks or negotiations, the regime is considered not representative of the Syrian state. Action will meanwhile be taken to assert its presence on the ground in parts of the country controlled by opposition gunmen. – To sideline other opposition leaders by vesting authority in the interim government’s head. This resolves problems like those caused by Syrian National Coalition leader Moaz al-Khatib’s call for dialogue with the regime. – While placing minor figures in nominal leadership positions, the actual running of the opposition’s affairs will be in the hands of groups and figures beholden to Turkey, Qatar, and Saudi Arabia. This includes undertaking the task of creating a joint framework for the various armed groups on the ground. One aim is to compel al-Nusra Front to join forces with the others. – To achieve military breakthroughs and alter the situation on the ground in order to forestall any political deal sought by the Americans and Russians. There is also evidence of other objectives being pursued during behind-the-scenes negotiations. In particular, the Saudis, Qataris, and Turks have been behaving as though they will never accept a settlement that keeps Bashar al-Assad in power. Britain and France increasingly support this stance. Turkey has additional concerns, which help explain the sinister role it has been playing in northern Syria. It wants to assert its security and economic control over the entire area, and take charge of its reconstruction and policing. It also wants to achieve operational goals related to the Kurds in Syria. While everyone awaits the next move, these are exceptionally hard times for the would-be brokers of a political settlement in Syria. They are dismayed by the regime’s failure to offer concessions capable of luring the other side to the negotiating table. They have long been frustrated by the inflated roles that France, Britain, Saudi Arabia, Qatar, and Turkey have assigned to themselves in the crisis. And they are alarmed by the systematic process of destruction to which Syria is being subjected. Everyone appreciates the difficulty of finding a solution soon. So the one certain outcome of the formation of an interim opposition will be a fresh round of bloody violence. It will not radically change the equation in Syria, but will merely cost thousands more Syrian lives. ..."
"... Obama commemorated the anniversary of the Iraq war by making his first presidential visit to Isreal, where he effectively gave Prime Minister Benjamin Netanyahu an American green light to take whatever actions he felt are necessary to defend Israeli interests against the threat coming from Iran. Behind the scenes, Obama actually extracted a promise from Netanyahu to hold off from unilateral action so that the United States could decide the proper time for military action against Iran.When I received the report of what had actually been discussed between Obama and Netanyahu, my thoughts immediately returned to "Drinking the Kool Aid." Now, as then, a U.S. Administration embarked on a path that will almost certainly lead to war in the Persian Gulf, a war that will likely have even more devastating consequences than the disasterous action of March 2003. Now, as then, the greatest skepticism about the need for war came from senior military officials, people with the greatest appreciation for the folly of war as the first option, rather than the last. Now, as then, the usual rightwing Zionist and neoconservative propaganda apparatus is churning out disinformation to hype the conflict. Except for the map coordinates, very little has changed. The threat of imminent "nuclear mushroom clouds," the prospect of weapons of mass destruction being used against Israel by an Iranian/Syrian/Iraqi "rogue regime" driven by irrationalist motives--the buzz words and frightening images remain the same.This is precisely the message of "Drinking the Kool Aid." Unless there is a genuine recognition of the folly and consequences of the Iraq fiasco, it will be repeated over again and again--with the same disasterous outcome. It makes no difference what party is in power at the White House or on Capitol Hill. President Obama was swept into office in 2008 on the mandate to end the war party rule of the Bush-Cheney era. Once in office, President Obama found that the unitary executive powers were too awesome to repudiate. He has continued on the path set for him by the likes of Paul Wolfowitz, who once told General Wesley Clark that the United States had one or two decades to overthrow the governments of Iraq, Syria, Iran, Libya. Sudan and Somalia--before an emerging rival power like China challenged the American global military hegemony.Col. Lang's treatis on the road to folly in Iraq has withstood the test of time. Like a Shakespearian tragedy, it offers a prophetic warning and opportunity to change paths before the die is cast. The image of "drinking the Kool Aid" must be used as a powerful tool to alert, shame, embolden enough of our political, military and intelligence leaders so that another string of needless wars can be averted. I am sure this was Col. Lang's intention in writing his landmark account of the slide into Iraq war. " (Reuters) - "Russia clashed with Britain and France at the U.N. Security Council on Wednesday over the scope of an investigation into the alleged use of chemical weapons in Syria, accusing Western powers of trying to torpedo a potential U.N. probe..."
FSA's al As'ad: "Jabhat al Nusra are our brothers!" Al as'ad: "...Oppositionists are a bunch of 'hotel-lounging opportunists' ... We used to have one leader called Bashar Assad, and now we have hundreds ..."
"The fact is, the interventionists themselves and the U.S. government don’t know squat about Syria and know even less squat about these rebels"
If this line of questioning doesn’t seem dispositive, consider why our good friends neighboring Syria aren’t providing the very arms they’re demanding we provide. After all, they have modern arms and equipment that they could give to the rebels. The fact is, they shy away from what they ask us to do. Why? They don’t want to, because it would only then be they—rather than the U.S.—who would be subject to the inevitable Arab backlash. They know there would be heat to take, and they want Americans to take it. It is they who should step forward. That goes for the Turks, especially. And don’t forget, elements within America’s Arab allies secretly provide arms to jihadis as well. And notice, by the way, that the Israelis are not demanding that Washington arm the rebels. Do they know something we don’t? ..."
"...Despite the rising cry for intervention, U.S. observers also note that much of the current fighting involves various U.S. enemies who are attacking each other: Sunni jihadists in Syria are being joined by Iraqi Sunni insurgents across the border who are now sometimes fighting Hezbollah Shiites, as well as the Assad government. If it were not that tens of thousands of innocents who are being killed and wounded, the conflict could almost be considered a “net gain” at this point in terms of “cold calculations of national interest,” says Douglas Ollivant, the former director for Iraq at the National Security Council during the Bush and Obama administrations ..."
AB Atwan: "The future holds harmonious relations between the Syrian regime & the US"
... unless, of course, someone lobs a few chemically laced missiles here & there! Naah, maybe even with that! "... The next few days are likely to see a number of surprises as both the US and Europe have stopped shot of providing arms to the Syrian opposition, fearing that the Syrian extremist movements could get their hands on the weapons. In the future, we're likely to see harmonious relations between the Syrian regime and the US, to pave the way for achieving the Russian-American agreement...."
Dreyfuss: "Can this really be happening again? A phony WMD war in the Middle East? Answer: yes." Qatar/ Saban/ Whatever: "There is a very large number of Syrians who have not declared their opposition to Assad, have not accepted the SOC or the Muslim Brotherhood"
"... There is a sense that Hitto’s appointment has allowed the Muslim Brotherhood, assisted by key regional actors, to walk in through the front door and assume control of Syria’s opposition movement. (One interlocutor remarked acidly “who would have thought that one hundred years later, a Syrian Prime Minister would be announced in Istanbul.”) For them the move signifies the complete revival of the Brotherhood, a movement which suffered terribly under the brutal assault of the Baathist regime in the 1980s.Such talk, even if exaggerated, should be worrying for the SOC and the Muslim Brotherhood. It shows that there is a very large number, particularly in the “grey area” of Syrians who have not declared their opposition to the Assad regime, have not accepted either the SOC or the Muslim Brotherhood." Syria's Chalabis offer a "gift to Bashar Assad's regime,"
[AFP] "... At least 12 key members of Syria's National Coalition said Wednesday they had suspended their membership in the main opposition body amid a row over the deeply divisive election of the first rebel prime minister. The group of 12 included the Coalition's deputy Soheir Atassi and spokesman Walid al-Bunni. Their decision came amid bitter disagreement over the election of Ghassan al-Hitto as the first opposition premier. "We Coalition members weren't elected to represent the Syrians. So the only person Hitto represents is the 35 Coalition members who voted for him. This government is a gift to (President) Bashar Assad's regime," Labwani said..."
""Obama; take off your shoes! Palestine's soil is mixed with our blood!